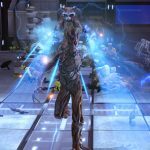 While it’s true that you can see a good share of Marvel Heroes’ mega January 2017 update for yourself on the test server, who could pass up a walkthrough and interview with Brian Waggoner, game designer at Gazillion? Besides, with such a massive change incoming to many of the systems (this may be one of the only times that BIGGEST UPDATE EVER is used legitimately), having a dev on hand to explain various alterations can be a definite plus. I took advantage of the opportunity, so if you haven’t had the chance to delve into the test center yourself, be it from lack of time, inclination, or even hard drive space, you can get a peek under the hood here. 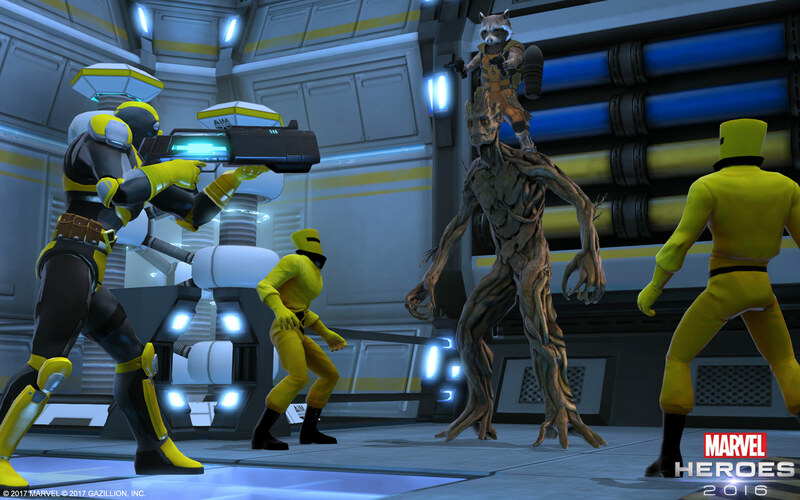 And then you can jump in and experience it all for yourself on Thursday, January 19th, when Marvel Heroes’s latest update goes live. 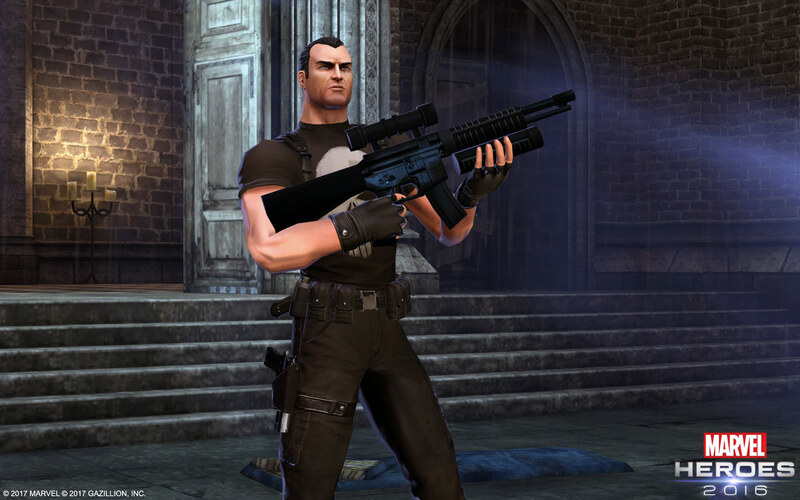 The first hero we explored was Punisher. 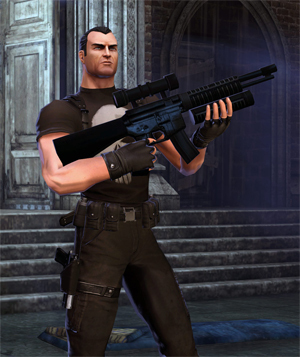 Waggoner noted that the designers’ goal with this rework was to give Punisher a first-person shooter feel, rather than trying to build around a certain weapon type. Punisher fans may appreciate that there is no longer any need to hit auto reload; it will auto-refill whenever you hit zero. 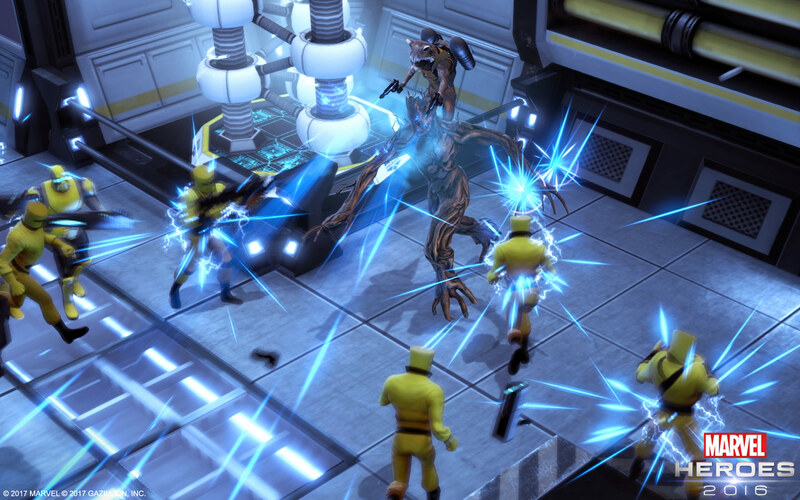 However, Waggoner noted that the power still exists so players can utilize it when desired, such as before heading in to face a boss. Next up was Loki. 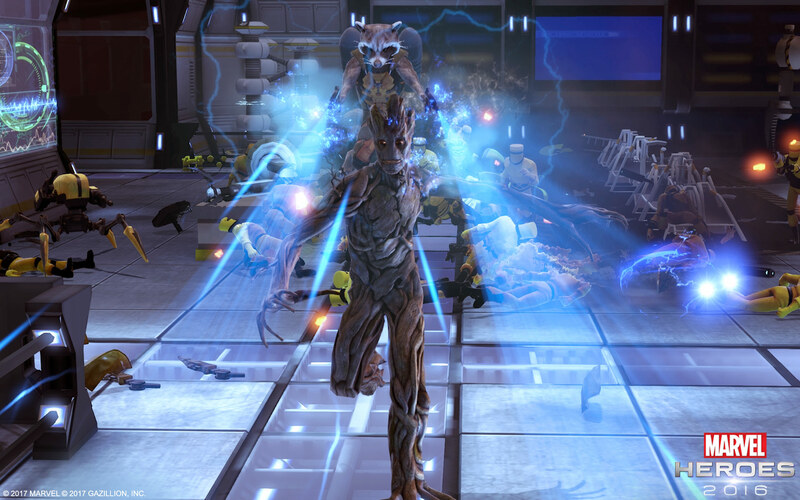 Waggoner said this villain, one of the first ever added to Marvel Heroes as well as one of the first summoners, got a significant rework. 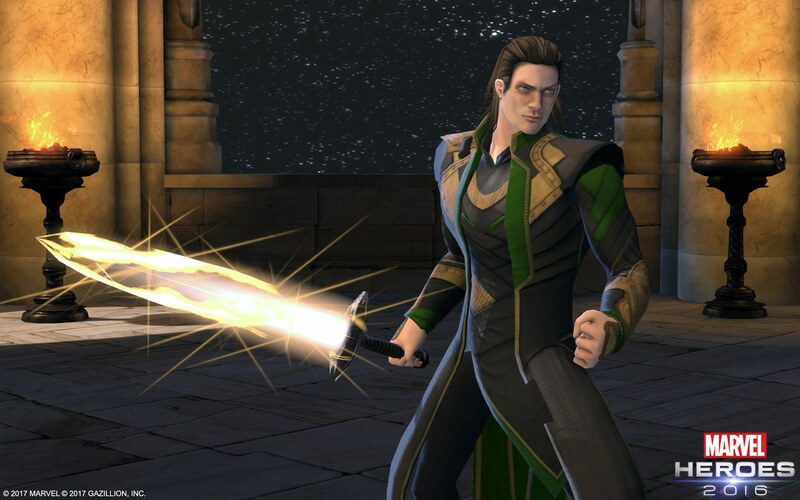 He said that folks shared feedback that Loki never quite felt like Loki. Waggoner said that the team basically started from scratch, picking things that were liked from before and adjusting or shuffling around things that weren’t. 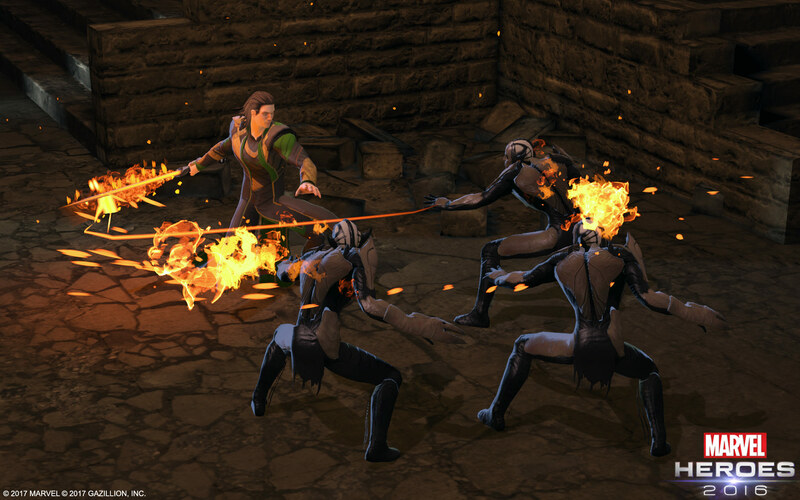 Using the talents and traits, players can specialize Loki into specific elemental-like damages, such as fire or darkness. 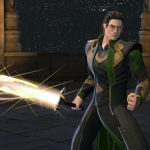 Loki also got a brand-new ultimate called Norn Stones. 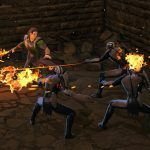 Waggoner called it “one of the best ultimate abilities that we have ever seen” and stated that players have really like it in testing. 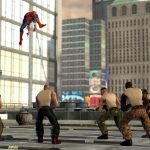 Unlike the previous two, Spider-Man didn’t get an overhaul as much as power enhancement. 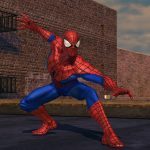 Waggoner explained, “We have spent a lot of time over the years perfecting Spider-Man, making him feel like Spider-Man.” Spidey already had a good amount of specializations available for different gameplay. “We really think Spider-Man has a good set of abilities,” he said. 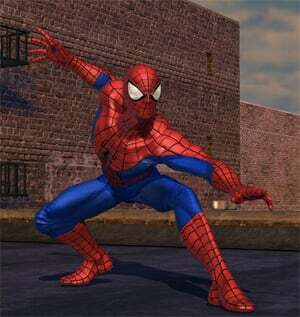 Instead, the webslinger’s talents are more about enhancing his powers and building combos between different attack types. Spider-Man also got a new, more appropriate primary resource: webbing. 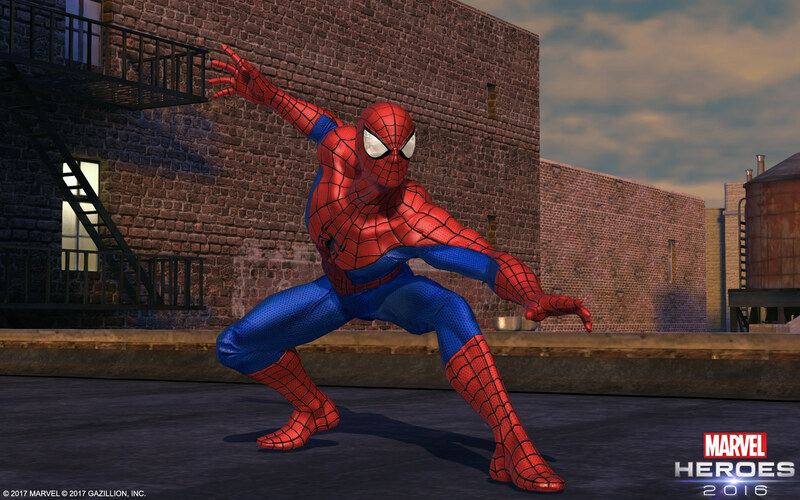 Waggoner also noted that Spidey got a boatload of new animations. Now, these three heroes are just a drop in the bucket of the changes and updates players will see in heroes. Remember, there are 59 of them! Waggoner said, “Almost every hero has something. If it’s not a brand-new power in their power progression, it’s a new talent option.” Some even get new ultimate abilities. 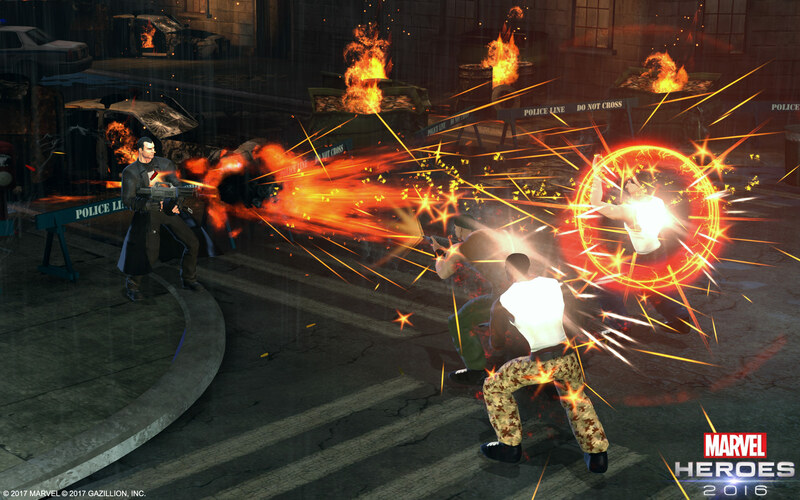 Waggoner noted that some characters, like Luke Cage, who were due for a 52 Review had theirs held back because it would be a part of this big update. 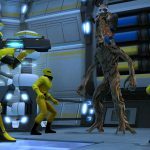 Big changes have come to the powers system. Instead of three different power trees, there are only two. 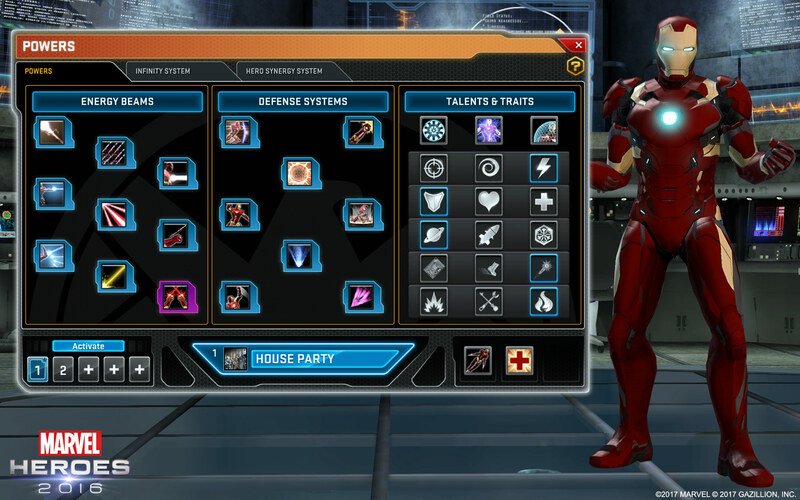 Taking over that third slot in the power UI window is the talents and traits category, which is comprised of three columns of various talents to choose from. In a row on top of these columns are the traits, which relate to the hero’s archetype. 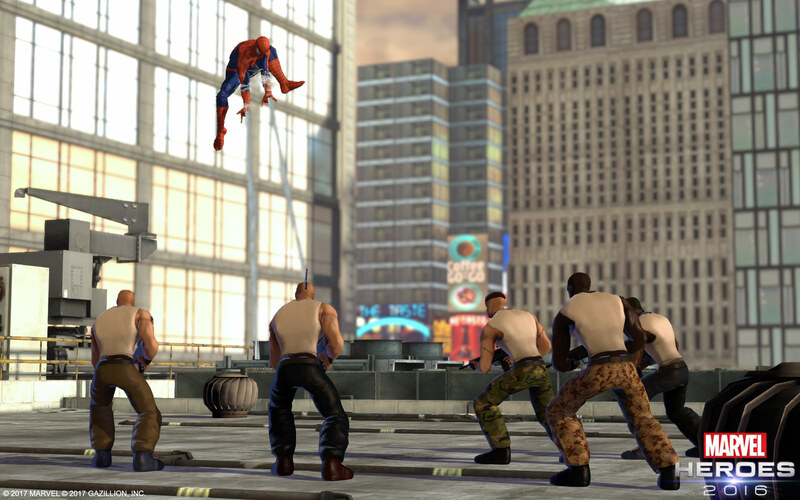 Most heroes have three traits, the center one being dedicated to the primary or secondary resource mechanic (things like Punisher’s ammunition, Spidey’s webbing, etc.). However, a few heroes have only two traits. As players unlock each row of talents through leveling, they can choose one of the three, until finally one is selected from each of the five rows. And changing your selection at any time appears pretty easy — just click the new one. On top of all that, players will no longer have to choose which powers they want and how many power points to spend into each of them; that part of the system was totally eradicated. 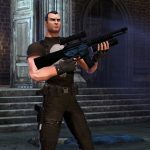 Instead, players will simply unlock the specific powers as they level up, and those powers will then level up with the player until reaching max strength at max level. If that sounds like a ticket to being OP with every power at your disposal, think again. Another change is the removal of all extra hotbars, narrowing players’ choices of playable powers down to only eight. Here’s where you must choose wisely, not only which powers to use but which talents and traits will support those powers. Obviously, no dev interview or walk through is going to be able to touch on every aspect of this upcoming update, nor can any one article. It really is just too big. 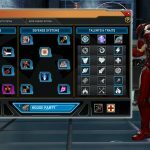 But we did explore a few more subjects, including costumes, the new flourish and catalyst equipment slots, and the infinity system. 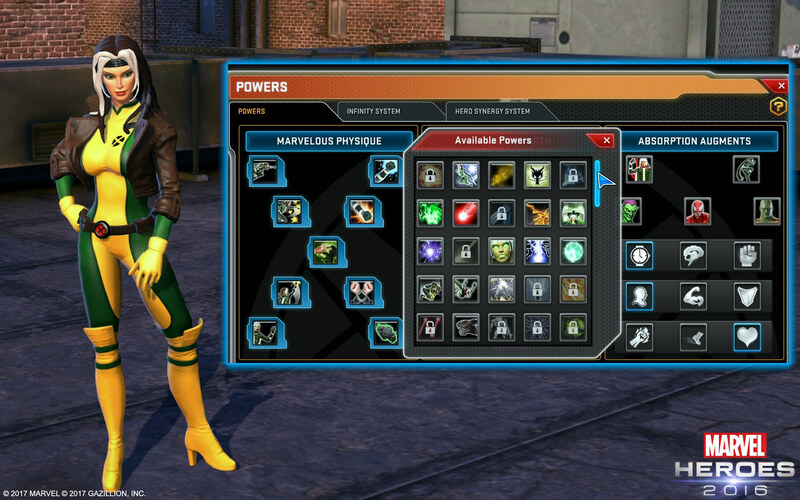 Currently, costumes that players acquire for their heroes are items in the inventory that have various cores and affect items crafted onto them. But Waggoner said the team wants to get away from that. “We want to give players the most freedom that we can and the ability to change their costumes,” he said. But changing costumes has been a chore when one is specifically specced with cores. 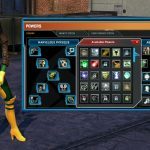 “We’re working on a system that is tentatively called the costume closet.” he explained, “which will turn it into more of an unlock and skin system.” Items will no longer be crafted onto costumes anymore, and the costume cores will be converted into catalysts, which have different rarities. 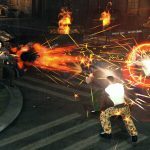 The catalyst then, in its own slot, will play the role that cores did without being tied to any particular costume look. In addition to the catalyst slot on the character page, there is also a new flourish slot. This is where players can put the spray paints they’ve been collecting in game for easier use during play (and freeing up a few inventory slots while they are at it!). 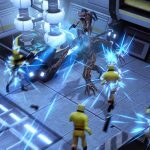 Waggoner said feedback that devs have gotten repeatedly is that the Omega system was too complex, and they wanted to make the barrier of entry for the system much lower. That’s where the infinity system comes in. “The infinity system functions very similarly to the way the omega system works, where you continue to gain experience after you hit level 60 and your experience bar changes to the infinity bar,” he explained. 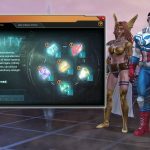 “But now it is based on six different infinity gems instead of dozens — if not hundreds — of different nodes.” Waggoner also emphasized that all omega points that players have earned previously will be there convert into infinity points to spend in the new system. However, he noted that while the actual number has shrunk (10 omega points converted to one infinity point), the value of each point has increased. 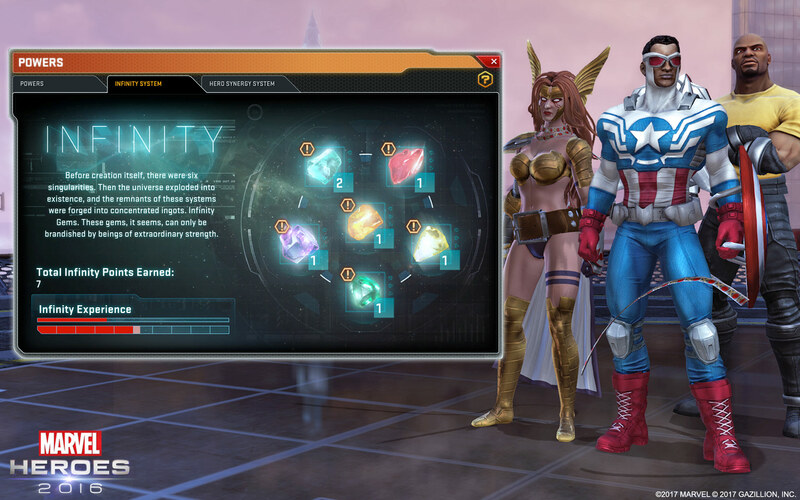 Players will also note that unlike the omega system which had a cap, the infinity system is uncapped. In all, that really is still just the tip of the iceberg of change for the game. There are a ton of visual updates and enhancements, system overhauls, and new systems on top of the reworking of each hero. The idea was to give players more choice in how they play. A lot of changes can be a risky venture though; changing a game too drastically can lead to player rebellion. 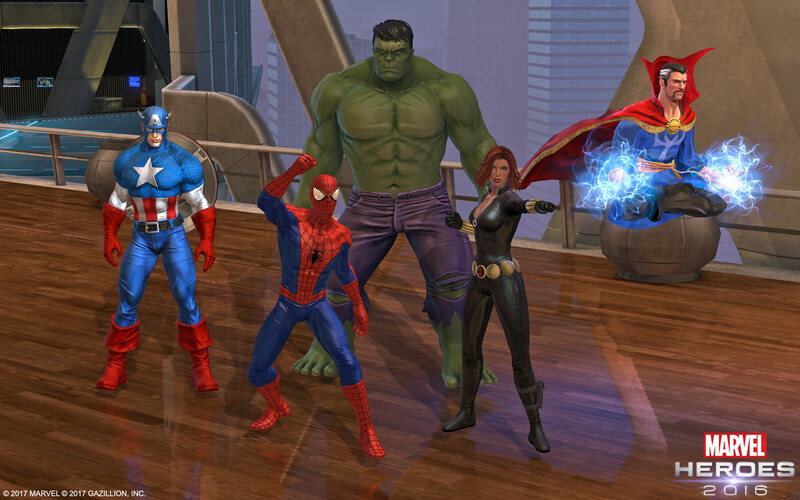 Will 2017 be amazing, or will it turn out to be a NGE level-blunder for Marvel Heroes? Give it a look, try out the new stuff come Thursday, and let us know your thoughts! 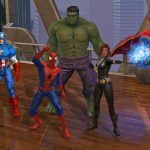 Editor’s Note: At the time of publication, we incorrectly referred to this update as “Marvel Heroes 2017.” Gazillion has clarified that while this update is launching in 2017, it is not a formal Marvel Heroes 2017 rebrand, and we have updated our piece accordingly.